Looking back is looking good for some major brands that are using the power of nostalgia to win over consumers. According to a recent study by NBCUniversal Integrated Media, many of these brands evoking the past are resonating so well with consumers that they’ve risen to the top of the Brand Power Index (BPI.) This Index ranks the most buzzed-about brands based on aspects like social media hype and Web searches over a three-month period. Adweek.com profiled how brands are reminiscing about yesterday to grab the attention of audiences today. 1. Jack Daniels – This wildly popular whiskey paid tribute to Frank Sinatra’s 100th birthday and 50-year bond with the brand by setting up special interactive stations in airports devoted to the music and memories of Ol’ Blue Eyes. 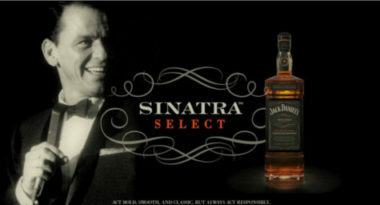 This Sinatra-centric effort coincided with the brand’s nostalgic “Legend” campaign, which was comprised of sentimental images and music from a variety of classic musicians. Together, these wistful campaigns won over consumers and sent the brand soaring 27 percent in the BPI. 2. Microsoft Windows – The tech giant used the concept of time travel to seemingly transport consumers back to the 1990s. The company created a two-minute video featuring the top trends of the end of the twentieth century with the tagline, “You grew up. So did we.” The video quickly went viral and led to an 18 percent leap in the BPI for both Microsoft and Microsoft Windows. 3. Arby’s – To celebrate acquiring two million Facebook fans, the roast beef chain developed a customer loyalty program that took a look back to find its two-millionth store customer. This search led to 1970 and a woman named Donell Norblom of Denver. The chain captured the search via video and the creative campaign led to a 25 percent increase in buzz among the male market. 4. Lego – The iconic building-block toy celebrated its 55th anniversary by challenging consumers to figure out 55 images of legendary cultural references made from Lego. These images recalled classic movies like Jaws and childhood stories like “The Three Little Pigs”. They printed these images on digital posters that were distributed via Tumblr and other social media channels. These iconic images resulted in a 19 percent boost in brand interest. its own unforgettable spot featuring a woman so captivated by the product that it makes her shout, “Yes, yes, YES!” The spoofy TV ad sent the brand soaring 27 percent in brand affinity. 6. Sony PlayStation – Sony hyped up the debut of PlayStation4 with a YouTube video campaign highlighting the 19-year history of the popular gaming console. The brand simultaneously ran a social media campaign that asked fans to tweet about their most memorable PlayStation experiences under the hashtag #playstationmemory. The social media marketing efforts led to 19 percent leap in the BPI. 7. Old Navy – Nostalgia has been a recurring theme for the retail brand and their latest effort relied on 1980s pop culture. The TV advertising featured memorable characters from the decade that gave the spots a retro spin. By adding a touch of classic fun, Old Navy gained a 13 percent boost in consumer buzz. By evoking nostalgia in the name of promotion, companies were able to build buzz for their brands and get ahead by looking back. To develop an integrated marketing campaign that delivers the maximum reach, response, and results, contact MDG Advertising today at 561-338-7797 or visit mdgadvertising.com. MDG Advertising, a full-service advertising agency with offices in Boca Raton and New York, NY, is one of Florida’s top creative ad agencies. Our 360° approach uses just the right mix of traditional and digital marketing to reach your advertising goals. While some industries may fare better in print or TV ads, and others online, we strive to create a balanced approach, where traditional and digital marketing efforts support each other and your message is tailored to the medium. To learn more about the latest trends in marketing and advertising, contact MDG Advertising today at 561-338-7797 or visit mdgadvertising.com.